For the fifth consecutive year, the California Genealogical Society (CGS) is pleased to present a winter series of genealogy classes. 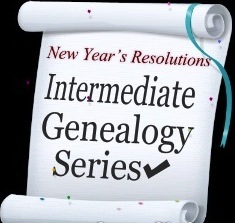 The 2013 Intermediate Genealogy Series is designed for the researcher who wants to go beyond the basics. Be resolute! 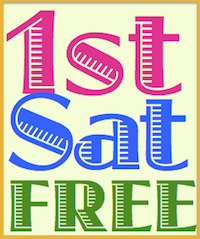 Class size is limited and expected to fill quickly so reserve your space now. Ten classes will be held on Tuesday mornings from 10:30 a.m. – 12:00 p.m. at the Oakland FamilySearch Library, 4766 Lincoln Avenue, Oakland, California. Classes begin on January 29, 2013 and run through April 2, 2013. Fee is $50 for ten classes, including syllabus.